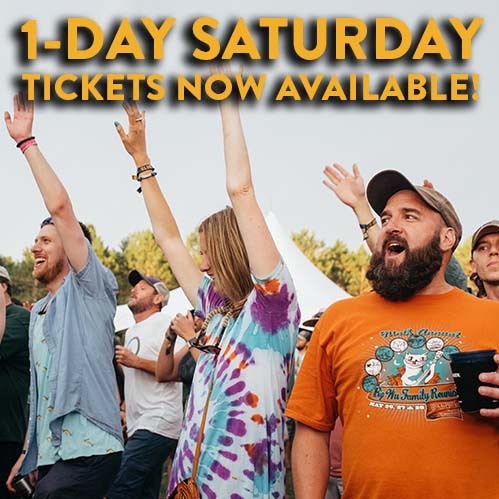 1-Day Saturday only tickets now available for $95 each! Join us on Saturday, June 15th to see: Railroad Earth, Sam Bush Band, The Dead South, Pert Near Sandstone, Earls of Leicester featuring Jerry Douglas, Peter Rowan’s Carter Stanley’s Eyes, Charlie Parr, Them Coulee Boys, The People Brothers Band, The Wooks, David Huckfelt and Feeding LeRoy. Previous: 2019 Spotify Playlist is HERE!